A new crackdown has commenced. And its been a long time coming. Not to say that the authorities haven’t been doing everything they could to prevent such madness, but it appears more is being done. This is good news. Consumer watchdogs have launched a new awareness program to find evil loan sharks that prey on needy families. Families in need often turn to loan sharks for help in paying rent or with getting an illegal loan to cover the move-in deposit. 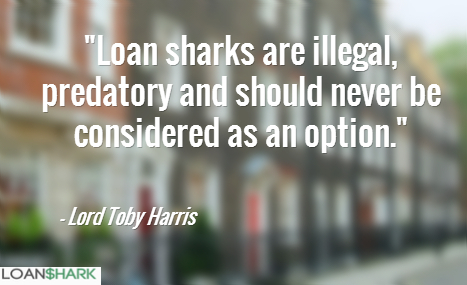 Moving home can be expensive and loan sharks take advantage of this, striking when people are under financial pressure. It is crucial people know that, even if they are renting privately, help is available if they get into financial difficulty”. Anyone with information about loan sharks should call the Money Lending Team in confidence on 0300 555 2222, email [email protected] or text ‘loan shark’ and their message to 60003.